High-grade tungsten carbide offers durability and life. 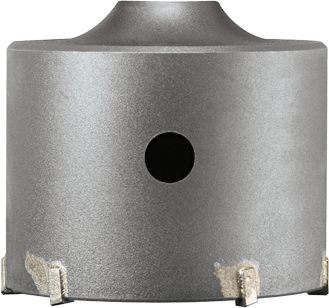 Ejector hole delivers easy core removal of masonry, brick and block. Works with Bosch one-piece SDS-plus® pilot bits and extensions.